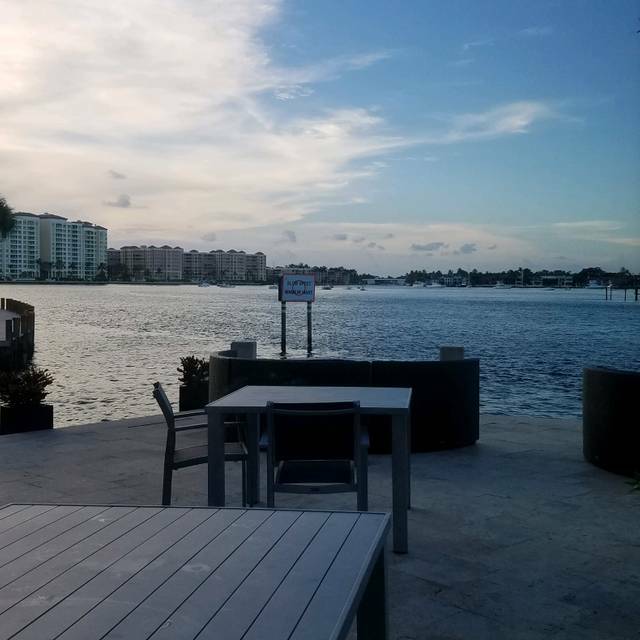 You must make reservations at least 5 minutes in advance of the time at Boca Landing- Prime Seafood and Crafted Cocktails. $5 Valet charge for dining guests. Please keep in mind that the Camino Real Bridge is currently under construction, if you are coming from the South take Hillsboro Blvd to A1A then head north to Camino Real, and for those of you who are coming from the North take Palmetto Parkway to A1A and head south to Camino Real. We do offer entertainment, please call for details or visit our website. Join us from 11am-3pm in the Atlantic Ballroom for an elaborate brunch featuring carving, pasta and omelette stations, raw bar, chefs composed salads and sides, children's corner, holiday desserts including a chocolate fountain, live music and children's activities. 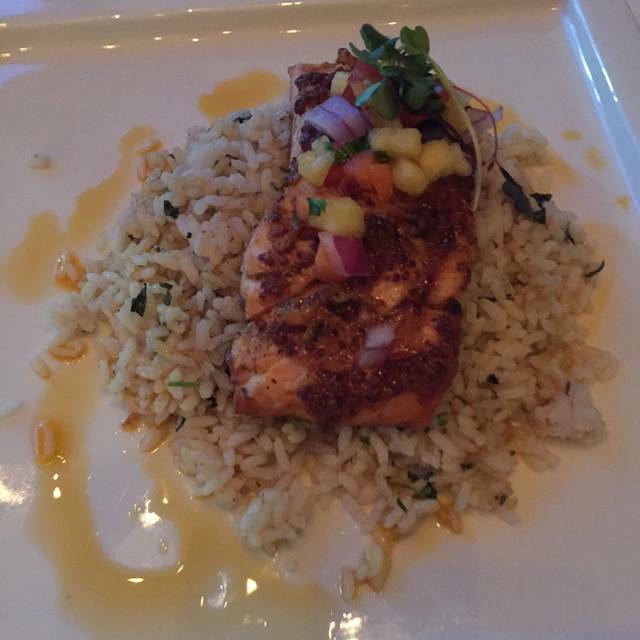 It's a beautiful venue, food is very good, I had the Black Grouper, excellent. My hubby had the Seafood Risotto, very good. The fish dip comes no charge to the table upon seating-a nice touch. We requested outdoor seating when we made reservation, however it was not an option when we arrived. The atmosphere is smooth and romantic with enough ambient music for conversation. Stacey was excellent. Vacationing. Sat outside and it was lovely. Waitress was wonderful. Food was good, but not spectacular. Good use a bit more choices. However, overall experience was great and we will be back. The place at bar was set up great for final four viewing. Food and service very good. Pricing a bit high. Then again you are in water. Definitely recommend this place. The restaurant staff proved to be very accommodating. Pasta I had was al dente where I would have wanted it more cooked, if I had known. My martini was average. But the views and excellent service amply made up for those deficiencies. I anticipate returning to the restaurant, hoping for a more enhanced experience. Beautiful view, excellent service and food! Great date night spot. The bar and the ambiance of the place was great. The food was subpar, and expensive for the quality of it all. The drinks were better than the food. The outdoor seating was awesome! Our waitress was very sweet. Would recommend for drinks but not for food. Started off great. They served us fish dip with homemade chips which was great. Ceaser salad was tiny. The men ordered NY strip it was over cooked and no flavor. The baked potato was small and hard. The cauliflower mash side was like a thin layer on the plate. The girls had pork chops with sweet mashed potato. The portions are very small. A big disappointment! Thank God I talked my aunt through it and she managed to open lock finally. I could not even pass through top of stall to reach her as it is a very pier and helpless design. Great atmosphere and very good food. Outdoor dining at its best! We have been dining here since Waterstone’s beginning and rarely have we been disappointed. This place has gone downhill since my last visit. Amateur service with mediocre food. The waiter was inattentive and the server was totally confused and inarticulate. 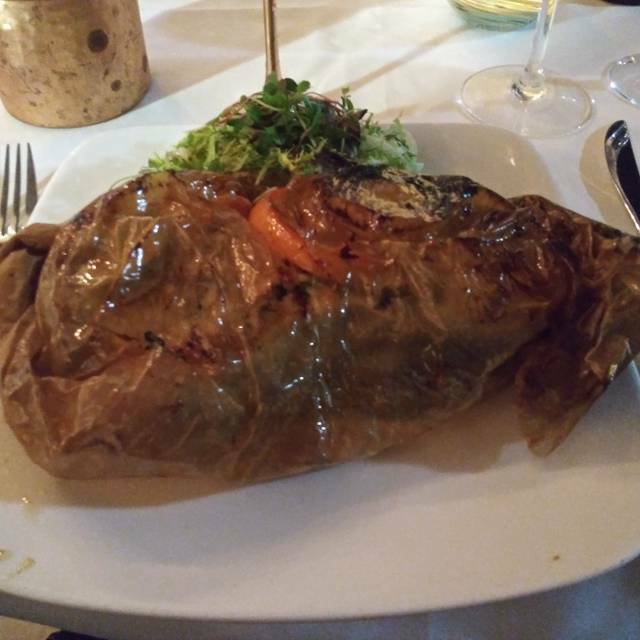 The salads were inedible and the main course of grouper was not warm enough when it arrived at the table. It’s a beautiful location on the water and it should be better. It would be difficult to go back again. 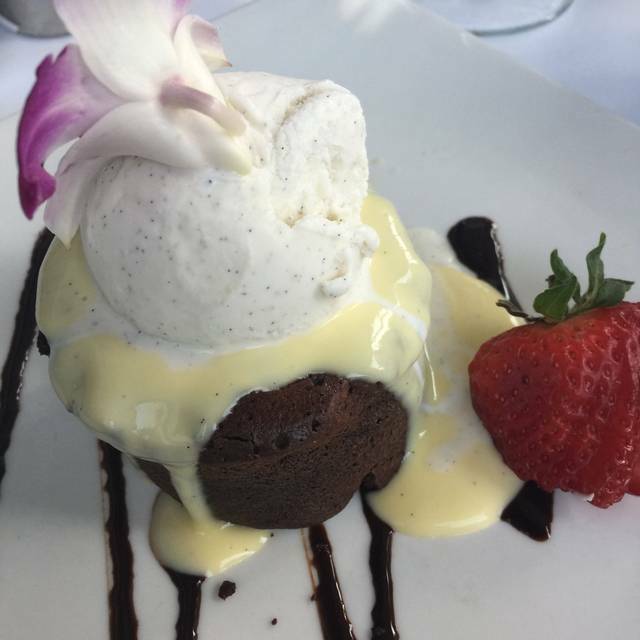 Boca Landing is rapidly becoming a favorite place to dine. The outside seating has a beautiful view of Boca Lake and all the lights reflecting off the water makes it quite a sight. The wait staff are incredibly accommodating. We've been twice when it was quite windy, both times they physically moved our table around the corner, out of the wind. The food is excellent, and the wait staff make excellent recommendations. 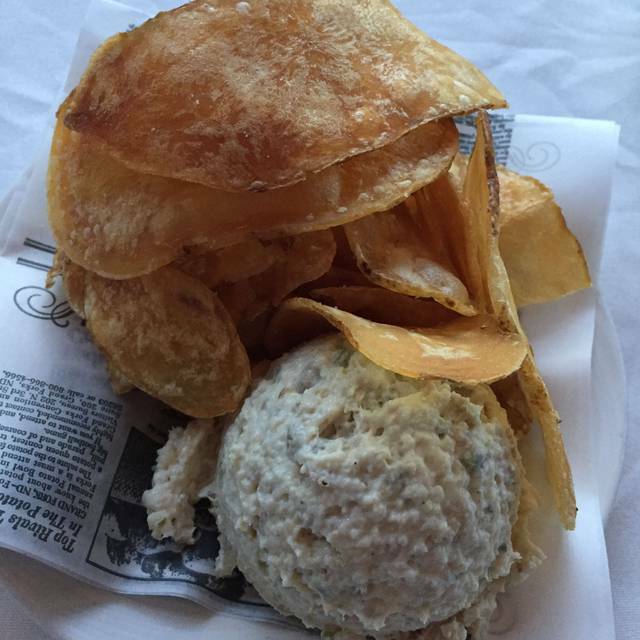 They bring smoked fish dip and home made chips at no charge, which is a fun and delicious perk. My whole party were thrilled with their choices of dinner. 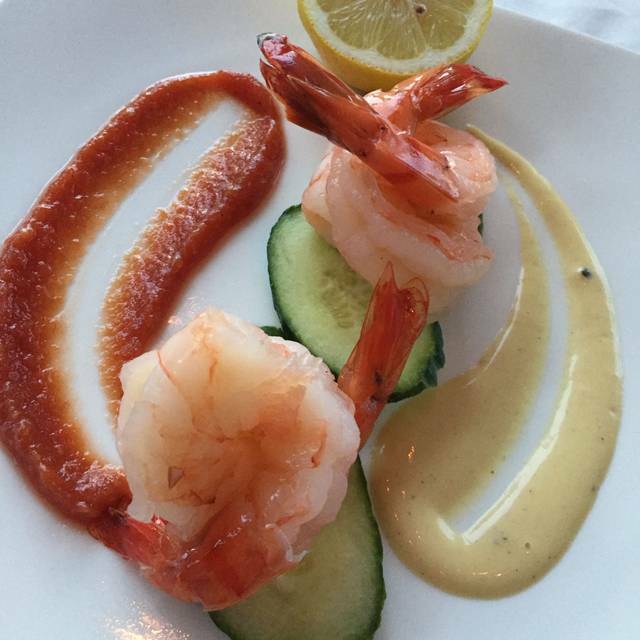 Everything tastes as wonderful as it looks. Love this place. 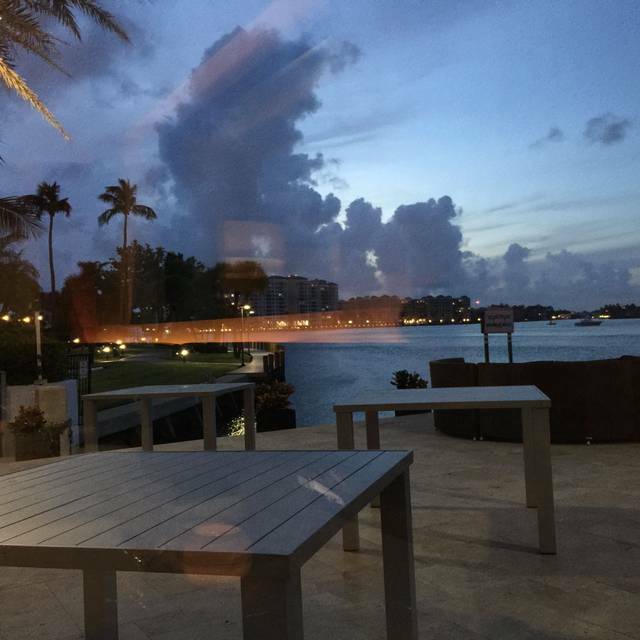 Friends were in from out of town and requested water view in Boca. They were so very happy with both the food and service but best of all we sat outside with a beautiful view and beautiful weather! Food was great the the view was even better. Food was ok. Prices were high, service was terrible. This was such a dreadful disappointment. Albeit the views and ambience are phenomenal, and service was exceptional, the food was subpar at best. The shrimp cocktail tasted like something just pulled out of the grocery store freezer, the steak was over salted and overcooked, the risotto was overcooked and rubbery...in short, have a beer and enjoy the view, find a different place to actually eat. None of the food was prepared as requested. It was awful. My husband asked to substitute lettuce and tomatoes instead of a cooked vegetable. The waiter brought him just that and no entree for dinner. The rest of of got our food. It took another hour and 15 minutes for the kitchen to sear 4 scallops for him. Unacceptable. The waiter and a sous chef insisted the rice had no butter, just steamed. Someone in our group has a dairy allergy. The manager informed us there was butter in the rice. Beautiful location, but terrible service and one diner had to go home on an empty stomach. Indoor and outdoor dining. Good ambiance. Attentive wait staff. Nice menu. match food quality and, in general - blah. Definite for people staying at hotel who don’t have a choice. This was our 4th time a Boca Landing. We were able to book a table outside, but it was very windy when we were seated. Our waitress, Kathy, couldn't have been more accommodating. She moved us around the corner, out of the wind and made arrangements to have a heater placed close by. She was very attentive to our needs, funny and charming. She gave us great suggestions and recommendations for appetizers, and entrees, and never steered us wrong. The 4 of us all ordered something different. We were all very happy with our choices. The food was visually, very appealing, hot and delicious. Highly recommend this restaurant. Beautiful waterfront atmosphere. Good food. Good service. This is a place we have been to many times and will go again. We dined outside, it was a very nice setting. Bring a jacket it was chilly once the sun went down. Our waitress was very pleasant and professional. Our food was delicious. Only negative was the time it took for our food to arrive. Outdoor water front dining sets the mood for a delicious meal served by excellent wait staff. 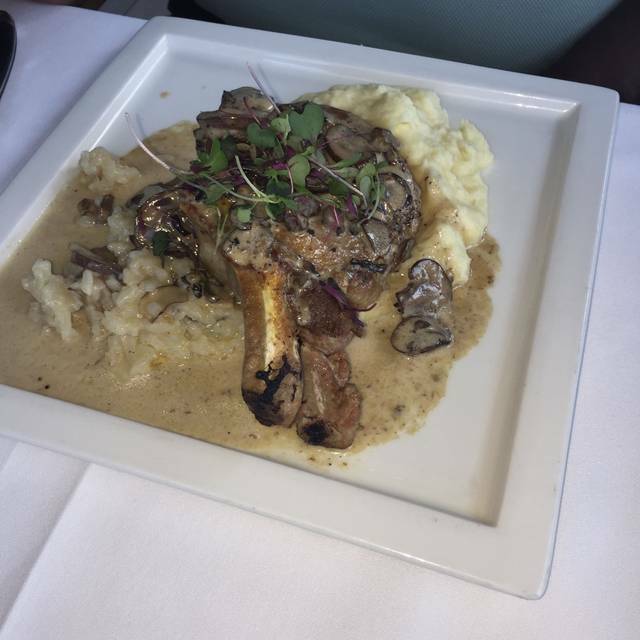 Excellent service and exceptional food! We will definitely come back again! Good food, not the wow factor you would expect at a higher price point. Service was very good and attentive. Live singer was great. Lighting was turned down after we arrived - way too low. The setting is wonderful. There's a lovely outdoor lounge area for before or after your meal. The servers are very good. Ambiance can vary from romantic and relatively quiet to quite energetic, depending on the day (and whether it's a holiday). Food is creative and delicious. Good food and service..nice jazz saxophone in the background (live).. Nice for people watching also. 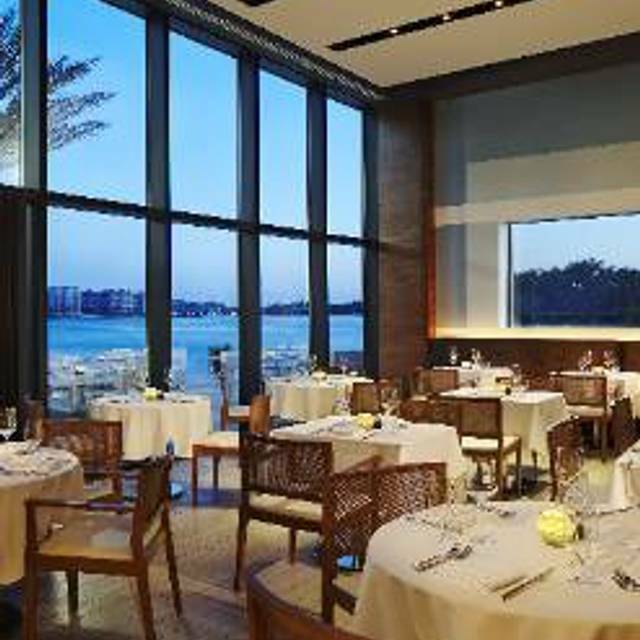 I had a reservation 1month before with water view outside and when we arrived they said we have to eat inside. It was not right. First time at the restaurant. Setting is glorious - we had a window seat - love waterside dining. The outdoor patio would be wonderful but it was too chilly last night. Food is inconsistent. The burrata salad was ten out of ten but the fish only average, same with dessert. What stood out was the service. Excellent in every way - not just our server, but we watched and all staff were a perfect blend of friendly, checking in often, while still moving quickly and making sure everything was in order. We will eat here again for sure. The modern decor is pleasing, but the real beauty comes from all those lights shining on the water. Lucky us - a fireworks show happened as well. Magic. While staying at the hotel I ate at the bar one evening. Went for drinks the night before. Both nights were very lively due to holiday parties going on that took up most of the venue. That was great for people watching. Even though the staff had to have been overwhelmed, we were not ignored and was taken care of with good attentiveness. The bartender recommended the grouper. Glad I took his recommendation. While I've had a better cut of grouper elsewhere, this was still really good and flavorful. I enjoyed it. The cauliflower puree & broccolini were on point. Puree delicious. The Elixir is strong & beautiful! Small Portions and high prices for ok quality food. Cocktails were mostly ice and very expensive as so pointed out by my date. Wonderful seafood dinner in a romantic setting next to the water! Candice was a fantastic server! !